Our standard scooters have the perfect balance of performance, style, and comfort for getting around in LA. 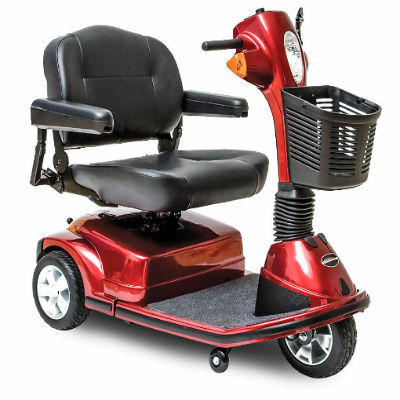 Their easy maneuverability and tight steering capabilities make it easy to drive in and around crowds, hotel rooms, restaurants, lobbies, and anywhere else you need to go. Furthermore, they have features that include a wraparound delta tiller for a comfortable grip that is ergonomically friendly and comes equipped with an off-board charger and a removable driver’s key. The Heavy Duty Scooter comes with a reinforced body frame that supports an additional 100 lbs compared to our Standard Scooter model. Its added versatility allows you to scoot around LA without any problems, lag, or trouble. If you’re looking for a mobility scooter that offers both style and comfort, the Heavy Duty has both without sacrificing convenience over power. 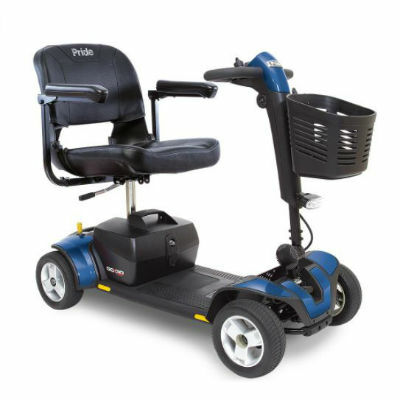 Developed for the bariatric community in mind, the Extra Heavy Duty Scooter provides both excellent comfort and superior performance for a smooth and easy going ride around Los Angeles. 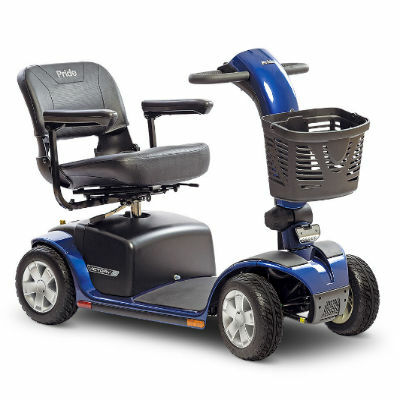 It has a top speed of 5.25 mph, an adjustable front tiller, and a comfortable cushion seat. Other features include high-intensity LED lighting package, directional signals, front basket, and a back-lit battery gauge. The Transportable Scooters can easily disassemble and fit in the trunk of any mid-size sedan or vehicle. It breaks apart into five separate pieces, allowing its’ user to take with and travel throughout all the fun spots. 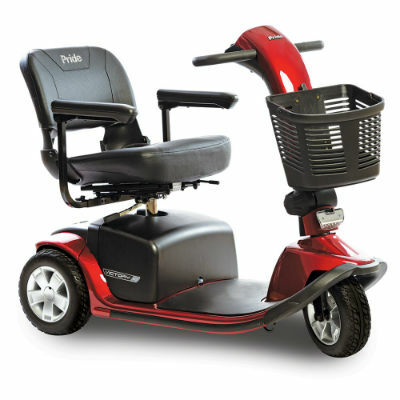 Designed for both indoor and outdoor use, this is convenience and mobility in one. Los Angeles is home to Hollywood, the undisputed entertainment capital of the world. Most of all the good movies and TV shows that we grew up watching and are still watching are made in LA. If you want to see how films are made first hand, the studio tour is perhaps one of the first places you should visit. The tour is wheelchair accessible only, but still allows you to transfer from your ECV to the tour vehicle. The tour includes the Oscar-winning Peter Jackson’s King Kong 3D, the world’s largest 3D experience, and they recently added the Wizarding world of Harry Potter which has been a hit particularly with younger people. If you find yourself spending the whole day there (which can easily happen) there are plenty of restaurants in Universal Street where you can enjoy some of the local delicacies. Warner Bros also have their own tour that is equally as entertaining. It includes iconic sets such as the Central Perk coffee shop from “Friends” and displays of various costumes from famous Warner Bros movies. Opened in 2016, the OUE Skyspace LA is a tall skyscraper right in the heart of LA that is known for having the tallest open-air observation deck in California that allows visitors to have magnificent 360-degree views of the beautiful city of Los Angeles. The view is absolutely stunning and offers a great tourist attraction for people coming to view the city. This destination is a popular location for professional photographers who are looking to capture a panoramic view of the city, but it also attracts a wide variety of guests who simply want to experience LA like never before. What makes the OUE SKyspace LA a must–visit place is its Skyslide, a first-of-its-kind outdoor all-glass slide that is attached to the exterior of the tower. The slide is 45 ft. long, about 4 ft. wide and is made entirely of 1.25-inch glass. If you have the stomach for it, you can glide from the 70th floor to the 69th floor and see the city in a way that few have ever seen before. Furthermore, according to their website’s FAQ section, the Skyslide accommodates guests in wheelchairs, through the operation of lift equipment. This mobility lift will also be able to transfer you from your electric scooter to the slide. For more information, check out the FAQ section of their site. The Santa Monica Pier is one of the most important landmarks in LA. Built over a century ago, the Santa Monica Pier is a great place to see the Pacific Ocean, visit the Pacific Park, and relax on the Santa Monica Beach. The place is perfect for the whole family, with plenty of fun, ocean-themed rides in the Pacific Park and great spots to get the perfect view of the gorgeous Pacific. Make sure you take a ride in the only solar-powered Ferris wheel in the world, where you will enjoy an amazing birds-eye view of the coastline. If you are having difficulties deciding what to do, make sightseeing a lot easier by getting on the Starline sightseeing tour. You get a bus pass that allows you to board a bus and hop off when the bus stops at various top tourist and shopping venues. The bus also has a pre-recorded tour narration in 9 languages to guide visitors. If you want to appreciate the history of Hollywood, you must take a tour of the Hollywood Museum. The film and television industry has a history stretching over a century back and most of it is well documented in the Hollywood museum. The curators of the Hollywood museum claim that there are over 10,000 “showbiz treasures collected from every facet of the Golden Era of Hollywood. If you are lucky, you may find a special exhibition on display. In addition to being the world capital for the television and film industry, Los Angeles is known to have some of the hottest tourist destinations in the world attracting people from all corners of the world. Whether it’s spending a day at the Santa Monica beach, going to watch a play in one of the many great theaters in LA, or visiting the Hollywood Museum, there is always something to do for everyone, including people who have mobility issues. Have trouble walking long distances without assistance? Rent a mobility scooter ECV today, and tour all the fun spots of LA. Request a scooter to be rented by filling out the online reservation form below and OSM representative will get back to you to fulfill the order.